On the 30th of July， a Memorandum of Understanding (MoU) was signed between Digital Belt and Road Science Program (DBAR) and Committee on Data (CODATA) of the International Council for Science (ICS). 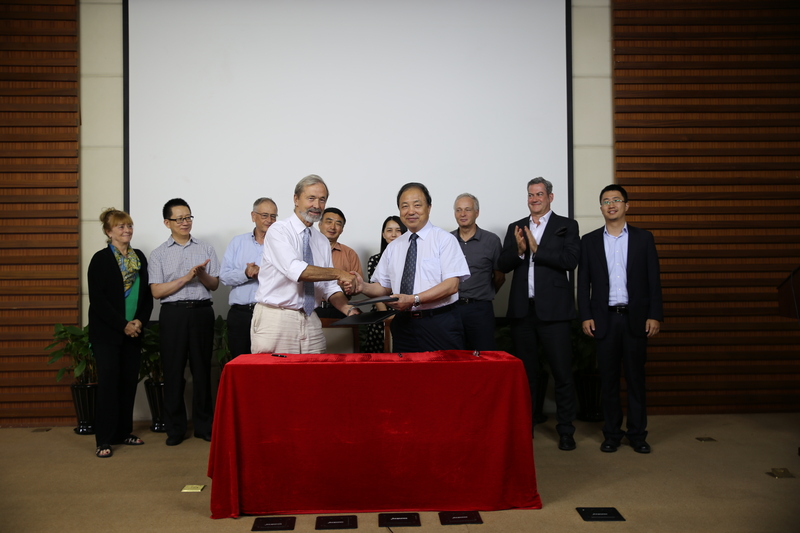 Prof. GUO Huadong, Chairman DBAR, and Prof. Geoffrey Boulton, President CODATA signed the MoU signifying consensus on cooperation between the two organization at global and regional levels towards development of Big Earth Data for use in sustainable development. The MoU promotes joint research on Big Earth Data in several thematic areas such as coastal zone resources, disaster risk reduction, agriculture and food security, environmental change monitoring, water and urban issues, and world heritage conservation, and addressing issues of data interoperability and data integration that are major challenges to research in such interdisciplinary domains. Each organization agreed to development plans for future-oriented cooperation. CODATA is an interdisciplinary scientific committee of ISC focused on improving the quality, reliability, management, and accessibility of important data in all fields of science and technology. It exists to promote global collaboration to improve the availability and usability of data in all diverse research areas. CODATA supports the principle that data is produced by research or has potential of use in research should be as open as possible and as closed as necessary. CODATA has three strategic priority areas: to promote principles, policies and practices for Open Science and FAIR data; to advance the frontiers of data science; and to improve capacity building and training in core data skills.